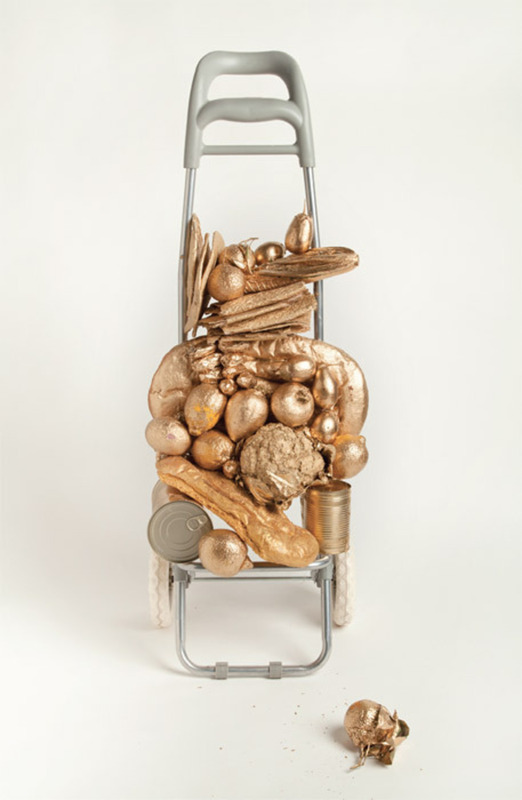 Liz Glynn, Kreutzberg Hoard, 2011, shopping cart armature, produce, gold leaf, acrylic, 36 x 12 x 10". 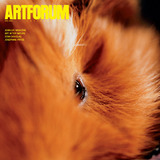 In her exhibition “No Second Troy,” Liz Glynn made her own archaeological dig through the epic chronicles of “Priam’s Treasure”the supposed gold of Troy discovered by the German archaeologist Heinrich Schliemann in 1873in order to trace (forward and in reverse) the movement of the people, objects, ideas, identities, and truths implicated in the story and its historical residue. Taken from Schliemann’s excavation site at Hissarlik (in modern-day Turkey), this resplendent cache of axes, pots, jewelry, and other such items was displayed in Berlin until Allied bombing campaigns forced its removal to underground bunkers, from which the Soviet Army seized the lot in 1945. After the war, a set of replicas was produced that are on view today at the city’s Neues Museum.